List of Villages in Mavala Mandal of Adilabad District: Mavala Mandal in Adilabad district of Telangana state. Adilabad, Pandharkaoda, Ghatanji, Nirmal are the nearby Cities to Adilabad. Local language spoken in this region is Telugu. This mandal consists of 4 villages. 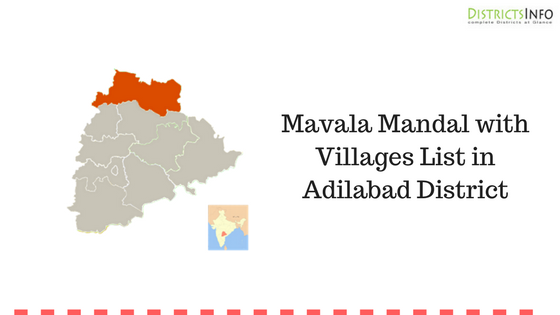 Check the official website for more information about Adilabad district and their mandals with villages. This is all about Mavala Mandal with Villages List in Adilabad District. We provide all the relevant information about various districts of India and various government schemes with other general information. Read about Tourist Spot and Temples in Telangana.